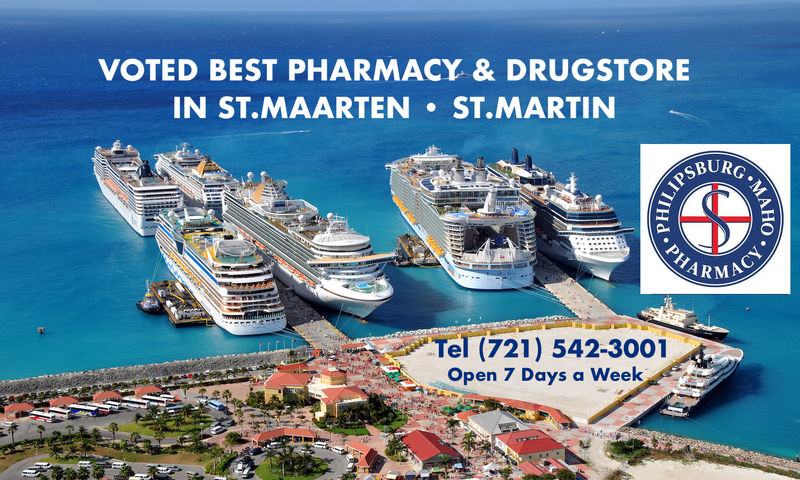 How to recognize and treat alcohol addiction is not a particularly new societal issue on St.Maarten, where alcoholic beverages are more readily available and at a much more ‘reasonable’ price. Many people enjoy a glass of wine with dinner or an occasional drink at happy hour time . Others might grab a beer while watching a football game. Most people used to drink alcohol moderately, within their limits. Some overdid it occasionally. But more and more people find they can’t control their drinking, which is often used as an excuse for pressure at work and at home. So how do you know when drinking is becoming a problem? And is there anything you can you do, when it is?Millions of Americans have an alcohol use disorder. Drinking too much alcohol raises your risk of injury and accidents, disease, and other health problems. Heavy drinking is one of the leading causes of preventable deaths in that country, directly contributing to nearly 88,000 deaths each year. 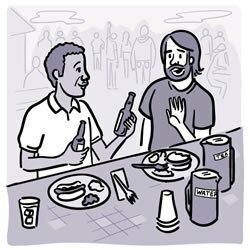 Men shouldn’t have more than 14 drinks per week and 4 drinks on any single day. Women shouldn’t have more than 7 drinks per week and no more than 3 drinks on any day. But you might be surprised at what counts as a drink. A 5-ounce glass of table wine, a 12-ounce glass of regular beer, and 1½ ounces of hard liquor each contain the same amount of alcohol, and each counts as 1 drink. You may need to adjust the amount you drink depending on how alcohol affects you. Some people, such as pregnant women or people taking certain medications, shouldn’t drink alcohol at all. Alcohol problems come from drinking too much, too fast, or too often. People with alcohol dependence are addicted to alcohol, and they can’t control their drinking. When alcohol-dependent people try to stop drinking, they may feel anxious and irritable—so they may drink some more, and it becomes a vicious cycle. Signs of an alcohol problem include drinking more, or more often, than you intended, or making unsuccessful attempts to cut back or quit. People with alcohol problems often have trouble functioning at work, home, or school. Studies show that most people with an alcohol use disorder can benefit from some form of treatment. If you or someone you care about may have an alcohol problem, help is available. The first step is to talk to a primary care doctor. In some cases, a brief intervention, or an honest conversation about drinking habits and risks, is all the person needs. If the problem is more serious, the doctor can help create a treatment plan, prescribe medications, or refer the person to a specialist. In more severe cases, the doctor might recommend a treatment clinic or in-patient addiction center. Three medications are approved by the U.S. Food and Drug Administration for treating alcohol use disorders. One of these, disulfiram, causes unpleasant side effects such as nausea, vomiting, and a racing heart rate if you consume any alcohol while taking the drug. Understandably, some people don’t want to take this medication for that reason. The two other drugs, naltrexone and acamprosate, also have been shown effective at reducing alcohol craving in many heavy drinkers. Additional medications are under study as possible treatments for alcohol use disorders. These include a handful of medicines already approved to treat other medical conditions. For example, the drug Gabapentin is now used to treat pain and other conditions, but it also has shown promise for reducing heavy drinking in clinical research trials. Gabapentin may reduce alcohol cravings as well as anxiety, trouble sleeping, and other symptoms associated with alcohol use disorders. NIH researchers are working to develop other approaches as well. Some are exploring a possible connection between appetite and alcohol craving. Leggio is studying a hormone in the stomach called ghrelin. His research suggests that when ghrelin is elevated, people feel hungry and also crave more alcohol. His lab is testing an experimental drug designed to block this hormone to help reduce alcohol craving. The drug is now being assessed in early trials at the NIH Clinical Center in Maryland. “There’s not going to be a drug that cures you of alcoholism,” Koob says. “I think that drugs can help you along the way, so that some of the chemical changes in the brain can return to normal. Strengthen that with behavioral therapy to make recovery as permanent as you can.” Behavioral therapy, such as counseling or support groups, can help people develop skills to avoid or overcome stress and other triggers that could lead to drinking. The approach can help people set realistic goals, identify the feelings and situations that might lead to heavy drinking, and offer tips to manage stress. It also helps to build a strong social support network. -Pace yourself. Sip slowly. Drink a glass of water after each alcoholic drink. -Include food. Don’t drink on an empty stomach. -Avoid triggers. If certain people, places, or activities tempt you to drink, try to avoid them. -Seek healthy alternatives. Look for new hobbies, interests, or friendships to help fill your time and manage your stress. -Track and control how much you drink. If offered a drink you don’t want, have a polite, convincing “no thanks” reply ready. Managing Editor: Harrison Wein, Ph.D. Contributors: Vicki Contie, Alan Defibaugh (illustrations) and Dana Talesnik.